This week I started my dissertation. Whilst for others it is worth a large part of their degree, mine is only worth 4.17% but nevertheless, it’s going to take a lot of work and time. My initial experience of writing a dissertation hasn’t been that bad, however like most people, I found it extremely difficult to get started. Not only did I have no idea where to start, but I also haven’t written an essay for 3 years (because, you know, I’m a Maths student), so I was at a dead end. Thankfully, a friend who had started their dissertation was on hand to give me some advice and help, and I’m here to pass them onto you! Write a detailed plan. 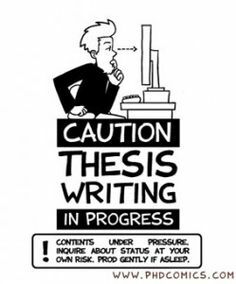 As you’re researching what to include your dissertation, plan out what each section and even paragraph will be about. This will make it so much easier to begin writing. Don’t start off with the introduction. I’ve started writing my main body, since I think it’s easier to write the bulk of it and then go back to the introduction. Double check each paragraph as you write it. This ensures that you catch any spelling/grammar mistakes then and there, instead of having a whole lot of editing to do at the end. As I’ve only just started my dissertation, that’s all the advice I can give at the moment! Do you have any dissertation writing tips? Comment down below!